Paras Buildtech Pvt. 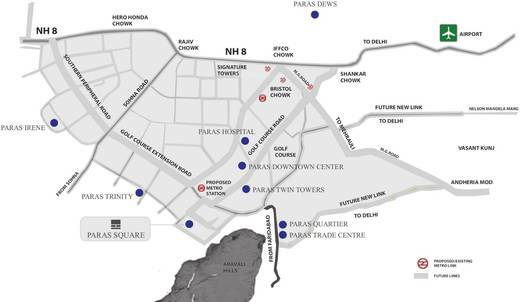 Ltd. launched high street retail project “Paras Square” in Sector 63A near Golf Course Extension road Gurgaon. Paras Square offers State of the art spaces for retail giants for their everyday business activities and fully furnished studio apartments. 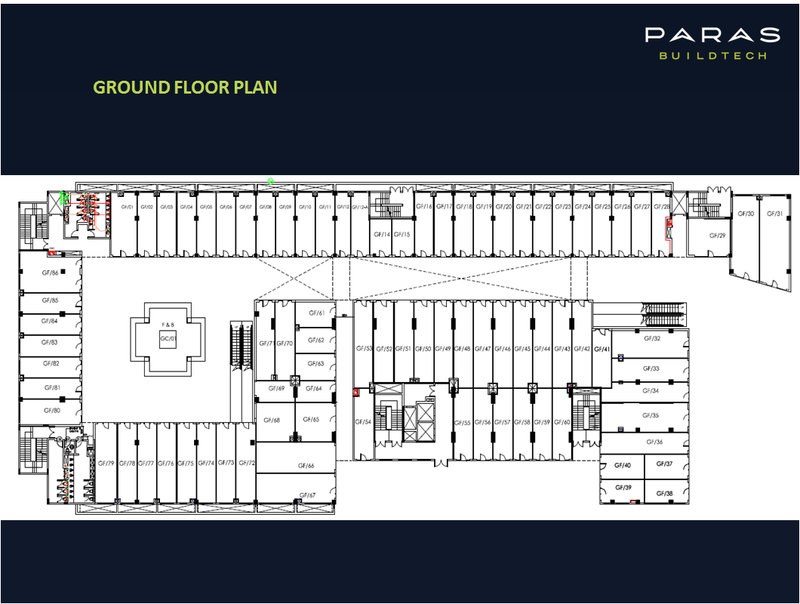 Paras Square Commercial Project sector 63A Gurgaon is designed by Warner Wong Design architects of Singapore and Design Plus Architect, leading architects in India. 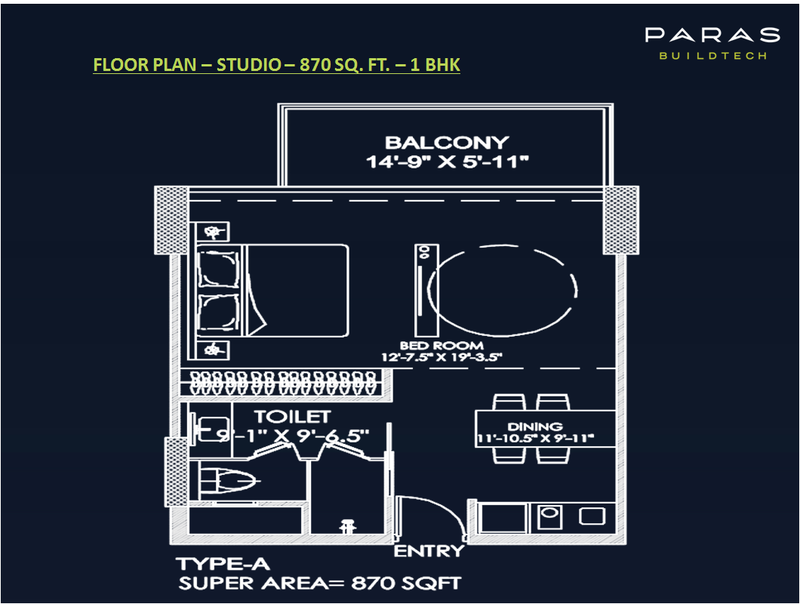 Paras Square sector 63A Gurgaon will have a modern design giving each studio apartment the right mix of comfort and edge. Total land area of 2.25 acres. 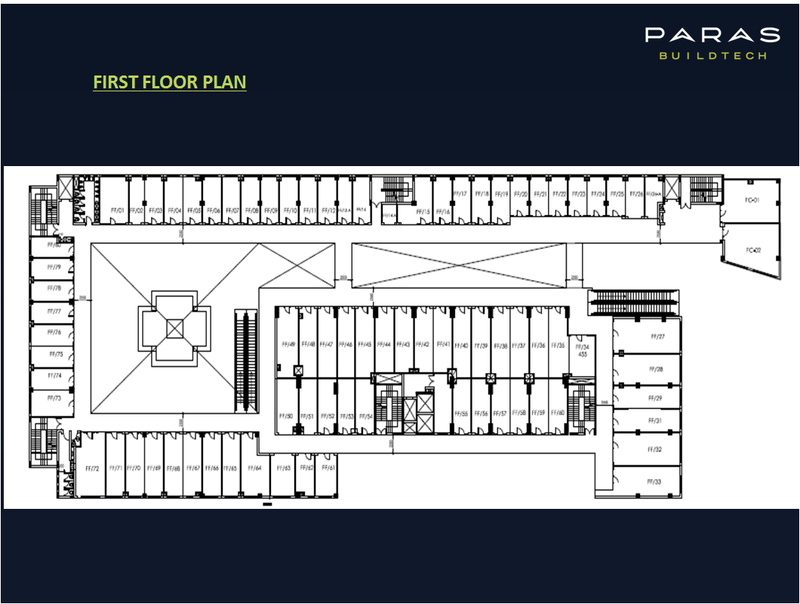 The mix of retail space and fully furnished studio apartments. Double height shops for higher area efficiency. Designed by Warner Wong Design architects of Singapore and Design Plus Architect, leading architects in India. Retail Units – 500 – 1000 sq. ft. Studio Apartments– 870 – 1225 sq. ft. Strategically located on Sector 63-A Golf Course Extension Road. Amidst the picturesque landscape of Aravali Foothills with an abundance of greenery and fresh air. Located on 60 Mtrs. road. Well connected from New Gurgaon – Faridabad Road and South Delhi. Founded in 1960, Paras Group is an Rs. 2000 Cr. conglomerate with diversified business interests in four different industries, namely Dairy, Real Estate, Healthcare, and Education. 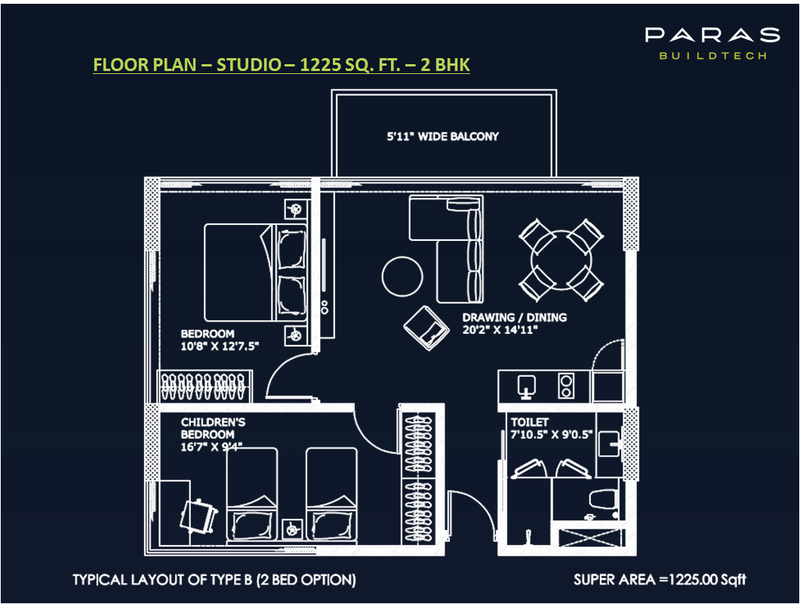 Paras Twin Towers – 2.39 Lacs sq. ft.
Down Town Centre – 1.06 Lacs sq. 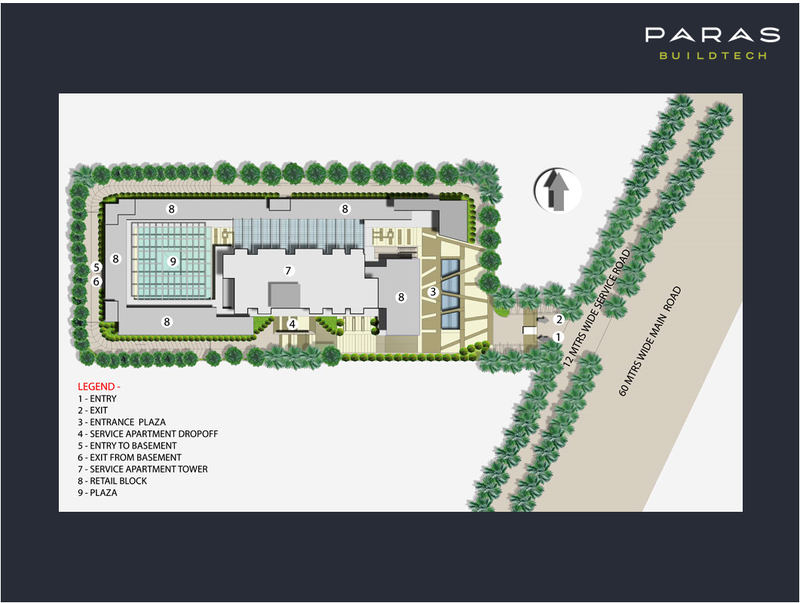 ft.
Paras Trade Centre – 2.78 Lacs sq. ft.
Paras Trinity– 2.05 Lacs sq. ft.
Paras Down Square Mall – 3.34 Lacs sq. ft.
Total Delivered – 1.2 Million sq. ft.